We offer high quality both side printed tags in roll form which increases production of Tea Packaging. Our exprienced and dedicated staff is well trained to handle this job.Manufacturer & Exporter of Tea Bag Tags. 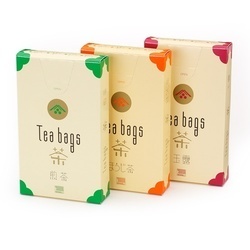 Our product range also comprises of Empty Tea Bags, Tea Bag Outer Envelopes, Tea Sachets . Looking for Tea Bags Printed Tag ?